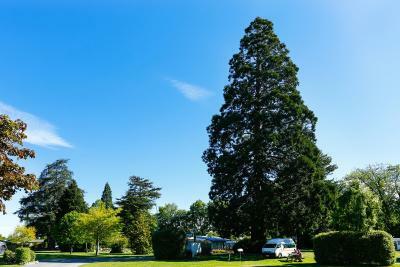 Geraldine Kiwi Holiday Park is located just 2 minutes’ walk from the centre of town. Guests have access to a shared kitchen, TV lounge room, and a covered outdoor barbecue area with seating. Asure Scenic Route Motor Lodge offers self-contained, 4-star accommodation just 5 minutes' walk from the scenic Geraldine Town Centre. Guests enjoy free parking and 500 MB of free WiFi. With free BBQ facilities and free parking, Geraldine Motels is set amongst beautiful green gardens on Geraldine’s south side. Guests can relax on their private patio with lovely garden views. Offering a year-round outdoor pool, barbecue and children's playground, Andorra Motel is located in Geraldine, 34 km from Timaru. Free private parking is available on site. Every room is fitted with a flat-screen TV. Offering a barbecue and views of the garden, Four Peaks Motel is set in Geraldine. Free WiFi is offered and free private parking is available on site. Rooms include a flat-screen TV. Certain rooms have a seating area for your convenience. Set in Geraldine, this holiday home features a patio. The unit is 32 km from Timaru, and guests benefit from free WiFi and private parking available on site. The kitchen features a dishwasher, an oven and a microwave and there is a private bathroom. Set in Geraldine, 33 km from Timaru, Willow Creek B&B & Farmstay offers free WiFi and free private parking. Guest enjoy a shared kitchen and communal dining room. Offering a sun terrace, free WiFi and a fitness centre, The Downs Bed and Breakfast is situated in Geraldine in the Canterbury Region, 34 km from Timaru. Guests can enjoy the on-site bar. Free private parking is available on site. Featuring free WiFi and a terrace, Forest Manor offers accommodation in Geraldine, 34 km from Timaru. Free private parking is available on site. Certain rooms have a seating area for your convenience. You will find a kettle in the room.